One-day deals on Play.com - end midnight tonight | What Hi-Fi? Notable CD bargains include Rihanna Loud (£6.99), Alison Kraus & Union Station Paper Airline (£6.99), Rumer Seasons of My Soul (£5.99) and Radiohead The King of Limbs (£5.99). Among the DVD offers are the six-disc Band of Brothers: Collector's Tin (£13.99), Downton Abbey Series 1 (£8.99) and Saw 1-7 Box Set (£27.99). 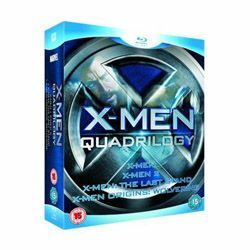 If you want some high-definition action, there's the X-Men Quadrilogy on Blu-ray (£14.99), Zombieland (£6.99), Terminator 2: Skynet Edition (£6.99) and Batman: The Dark Knight (£10.99). Check out these and other one-day deals on the Play.com website.